Dairy Queen: Putting Money Where the Miracles Are – Dairy Queen Corp. Miracle Treat Day, held August 2nd, was a huge success. During the one day event, select Dairy Queen locations donated $1 or more from every Blizzard Treat sold to UH Rainbow Babies & Children’s. 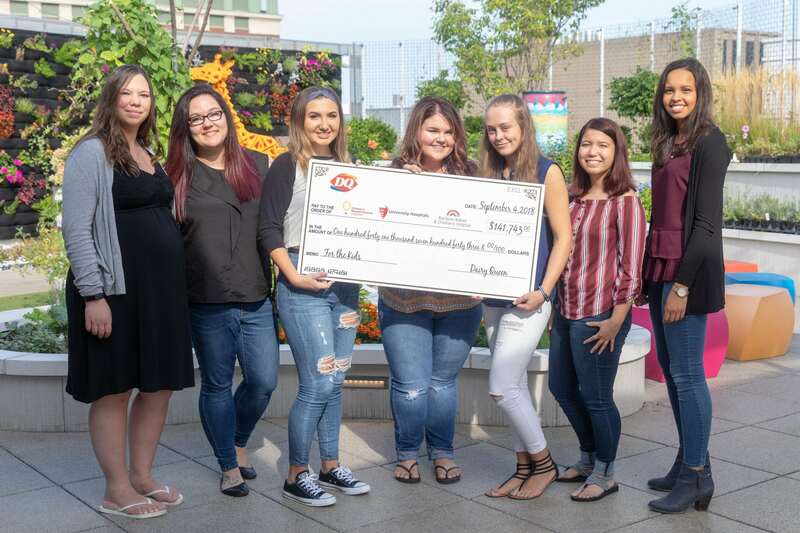 On Tuesday, September 4th, top fundraisers from various DQ locations presented a check in the amount of $141,743 to the hospital. Since 1986, Dairy Queen has raised $1.4+ million for UH Rainbow Babies & Children’s Hospital.